While this may look like a regular pencil drawing, it was actually drawn entirely with a Sterling silver wire. 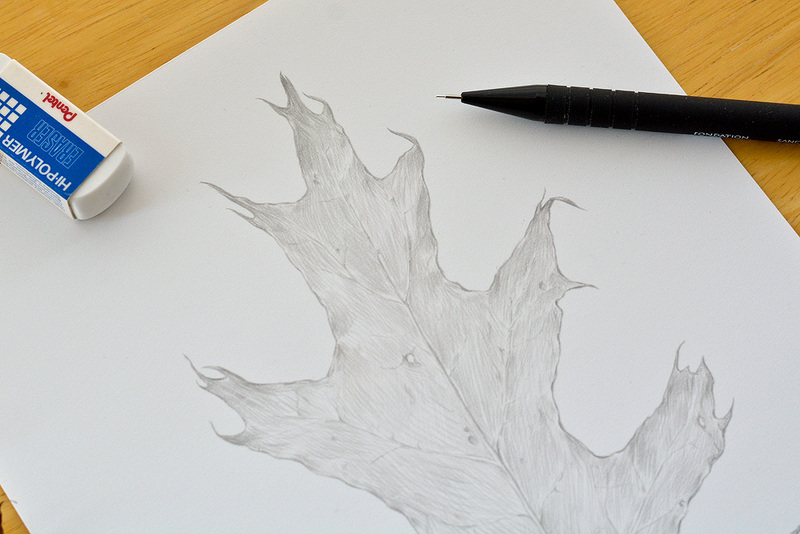 This old technique is known as Silverpoint. When you take a silver wire and run it across paper that’s been coated with mixture of crushed bone and glue, tiny particles of metal get deposited on the surface. Initially, the silver appears faint and gray, but over time with exposure to the air, the silver will tarnish into a rich warm brownish colour. That’s the magic. Although Silverpoint fell out of use once the graphite pencil was invented, it's still a medium capable of beautiful results. Some of Leonardo’s greatest works were done in Silverpoint. If you want to give Silverpoint a try, there are shops that sell ready made Silverpoint kits. The kit includes silver pencils and a powder for coating the paper, but honestly, it’s expensive. An art shop here in Toronto sells the kit for $65, while another place sells silver pencils for $20 each. Personally, I went the cheaper D.I.Y. route. All you need is a common mechanical pencil that takes 0.5 mm leads and Sterling silver wire in the same width. The wire is available from bead/craft shops and it’s easy to clip off a piece and insert it into the pencil. I suggest using a nail file to sand down any sharp edges as it will gauge into your drawing surface. The silver won’t leave marks on normal paper, but you can use a paper-like product called Terraskin. It's affordable and available at most art stores. Terraskin is actually a mixture of chalk and resin that’s pressed into thin sheets and it works very well with Silverpoint. If you make a mistake, you can erase the silver marks with a regular white block eraser, but if the lines are stubborn, you can give the surface a light rub with fine sandpaper. Metals such as gold, copper and aluminum will also mark Terraskin. 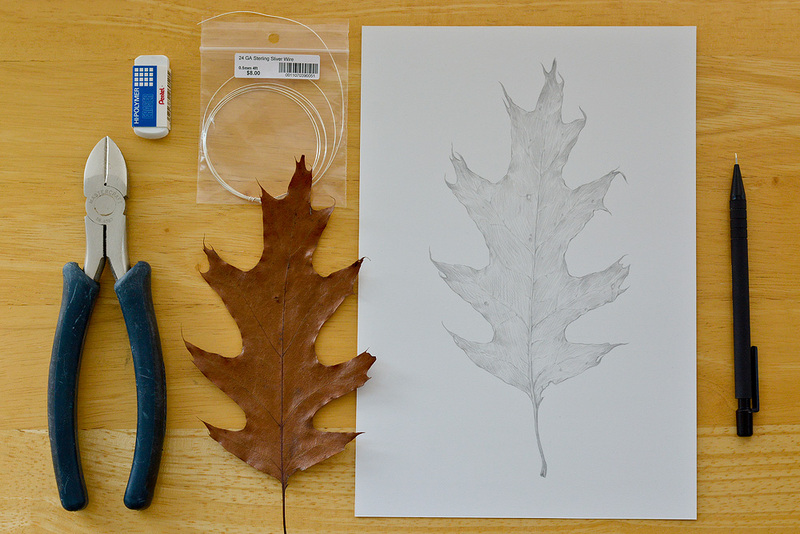 It might also be interesting to see how household silverware could be used as a drawing tool. For example, a silver spoon might be good for laying in broad areas of tone across the page. I'm planning to hold a Silverpoint drawing workshop in the future and will post class news once all the details have been worked out.